SNIPPETSON (AUS) (Bay 2001-Stud 2006). 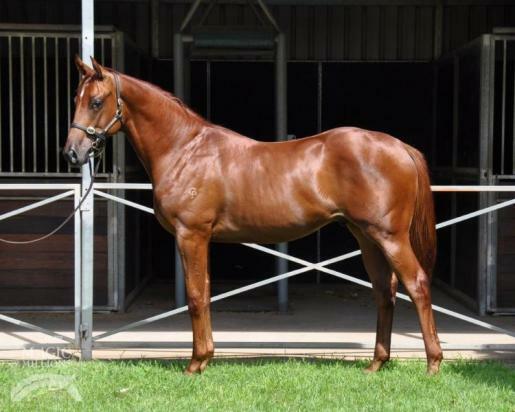 4 wins to 1400m, STC Eskimo Prince H., L. Sire of 529 rnrs, 330 wnrs, 12 SW, inc. My Poppette (Moonee Valley Fillies Classic, Gr.2), Fast Clip, (Our) Vergara, Snippets Land, That's the One, Rebelson, Nobby Snip - Fun Tapestry (H.K. ), Mystic Master, Lady Sniper, Kenjorwood, Miss Upstart, Mister Milton, SP Bangs, Fuerza, Snipzu, Can't Find Snippy, Hot Snippety, Charge Ahead, Admiral Rous, Dansonate, etc. Primal Flight (g. by Flying Spur). 7 wins at 1200m, A$174,500, to 2016-17, BRC Quest Breakfast Creek H., Channel Seven H., Winton Outback Festival H., Hillross Montefiore & Co H., Jim McKeering Real Estate H.
Vantage Point (f. by Anabaa). 4 wins to 1250m, A$132,145, ATC Guineas Restaurant H., Bacardi Bar H., Nat Zanardo H., Canterbury BMW X6 Triple Turbo M H., 3d ATC Foundation Membership on Sale H., Canterbury Park H.
St Augustine (g. by Anabaa). 2 wins at 1100m, 1300m, A$91,370, AJC Shaftesbury Avenue H., 2d AJC Victory Vein P., 3d AJC Royalrandwick.com H.
Snipfit (g. by Snippetson). Winner. See below. Fly First. 5 wins from 1300m to 2000m, STC Canterbury Park Events Centre H., 3d STC Nickaz Constructions H.
Primal Motion. 2 wins. See above. WELLBEING (Sadler's Wells). 9 wins from 1850m to 3400m, £177,514, €74,563, Newbury St Simon S., Gr.3, Deauville Prix Gontaut-Biron, Gr.3, Newmarket Godolphin S., L, Grand Prix de Compiegne, L, Newmarket Ruinart Champagne S., 2d Epsom Coronation Cup, Gr.1, 3d Rome Premio Roma, Gr.1. Sire. GIFTED SISTER (Kaneko). 3 wins from 1300m to 2100m to 2016 in Turkey, Istanbul Özdemir Atman, L, 2d Istanbul Nene Hatun, L, 4th Istanbul Zühtü Erisen, L, Ayasofya, L.
GAZIBORA KHAN (Native Khan). 2 wins at 2 in 2016 in Turkey, Istanbul Sakarya, L, 3d Istanbul Tay Deneme, L, TYAY Ve Sah Der, L, 4th Istanbul Çaldiran, L.
MESSENE (Lonhro). 10 wins from 1250m to 2000m, A$970,773, to 2015-16, ATC Ajax S., Gr.2, Canberra RC National Sprint H., L, Murrumbidgee TC Wagga Wagga Gold Cup, L, ATC December H., 2d WATC Railway S., Gr.1, ATC Missile S., Gr.2, Sky High S., Gr.3, Neville Sellwood S., Gr.3, 3d ATC Warwick S., Gr.2, Shannon S., Gr.2. Race Record: 3 Starts 1-1-0 A$19,125. Winner at 1600m in 2016-17 in Aust.